The scenes recorded on a cell phone show an Egyptian official, delivering blows to a young man’s face repeatedly while others are laughing loudly. The defense attorney for the Lebanese youth Sami Shahab arrested by the Egyptians has accused his interrogators of torture and fabrication, and of being ‘tortured by the use of nerve gas’. Sami Shahab was among the 49 men arrested by Egyptian President, Hosni Mubarak’s security forces on November 19, 2008 for allegedly supporting Hamas, the Palestinian resistance movement running Gaza. This is while a little later; the state-run Egyptian press reported that the group was also plotting to stage terrorist attacks across the country in a bid to target Egypt’s security. Hezbollah leader, Hassan Nasrallah, while saying that Hezbollah members were among those arrested, has denied his organization was planning to destabilize Egypt. According to the Lebanon-based daily al-Akhbar, the Egyptian state prosecutor, is expected to submit a list of serious accusations against the detainees on Saturday or Sunday, including acts of sabotage across Egypt as well as smuggling weapons to the Palestinian resistance in Gaza. They are also to be charged with ‘spreading Shia ideology’, in the mainly Sunni Muslim Egypt. But Nasrallah rejected these accusations as ‘lies and a fabrication aimed at setting the people of Egypt against Hezbollah’. Egypt, in collaboration with Israel, has imposed a crippling blockade on the Palestinian Gaza Strip, even as the sliver was under military onslaught by Israel at the turn of the year. This led to criticism by the Hezbollah leader who called for the blockade to be lifted. Many observers consider this to be the true reason for the arrests and accusations against Lebanese citizens in Egypt. Hezbollah is highly respected in Lebanon for driving out the Israeli military, which had occupied the south of the country since 1982 and for repelling Zionist forces again in June 2006 in their now legendary 33-day defense of Lebanon. The Speaker of the Lebanese Parliament, Nabih Berri, in an interview with the al-Manar television network last week voiced support for Hezbollah and slammed the Egyptian media for their psychological warfare against the Lebanese resistance movement. Meanwhile, the Syrian President, Bashar al-Assad, has stressed that Hezbollah ‘has no intention’ of launching attacks in Egypt. Speaking to the London-based Asharq al-Awsat daily, Assad reminded that Hezbollah had denied alleged reports that it was planning attacks and said they do not have anything against Egypt or the Egyptians. 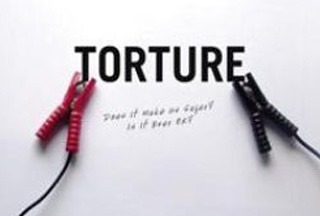 There have been numerous reports by human rights organizations of systematic torture by the Egyptian security forces. Egypt has been a favored destination for US’ ‘extraordinary renditions’, whereby suspected ‘terrorists’ have been delivered to US allied states such as Egypt for questioning under harsh interrogations which were not lawful under US laws. According to an Amnesty International report, Swedish investigators are investigating the capture and delivery of two men, Ahmed Agiza and Muhammed al-Zery, by US forces to Egypt where both were allegedly tortured with electric devices. Another case receiving attention from European prosecutors is that of Abu Omar, who was snatched from a street in Milan, Italy, in broad daylight and shipped to Egypt for ‘enhanced interrogations techniques’. Following an investigation, Italian prosecutors have issued indictments for 26 US officials, almost all of them CIA operatives.